The Swiss are the citizens of Switzerland or people of Swiss ancestry. Bernd Heinrich Wilhelm von Kleist was a German poet, dramatist, novelist, short story writer and journalist. 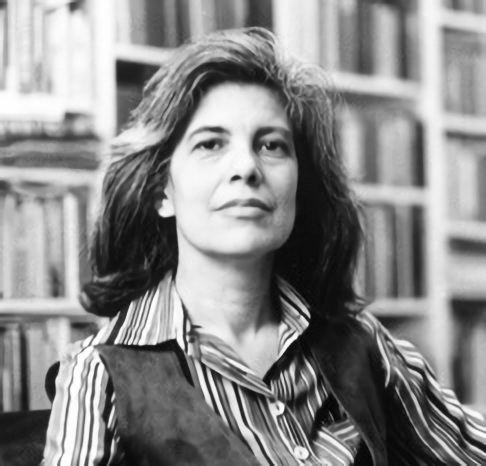 His best known works are the theatre plays Das Käthchen von Heilbronn, The Broken Jug, Amphitryon, Penthesilea and the novellas Michael Kohlhaas and The Marquise of O. Kleist committed suicide together with a close female friend who was terminally ill.
Susan Sontag was an American writer, filmmaker, philosopher, teacher, and political activist. She mostly wrote essays, but also published novels; she published her first major work, the essay "Notes on 'Camp'", in 1964. Her best-known works include On Photography, Against Interpretation, Styles of Radical Will, The Way We Live Now, Illness as Metaphor, Regarding the Pain of Others, The Volcano Lover, and In America. Karl Walser was a Swiss painter, stage designer, illustrator, muralist, and artist. Scenic design is the creation of theatrical, as well as film or television scenery. Scenic designers come from a variety of artistic backgrounds, but in recent years, are mostly trained professionals, holding a B.F.A. or M.F.A. degrees in theater arts. Scenic designers design sets and scenery that aim to support the overall artistic goals of the production. From 1892 to 1895, Walser served an apprenticeship at the Bernische Kantonalbank in Biel. Afterwards he worked for a short time in Basel. Walser's mother, who was "emotionally disturbed", died in 1894 after being under medical care for a long period. [ citation needed ] In 1895, Walser went to Stuttgart where his brother Karl lived. He was an office worker at the Deutsche Verlagsanstalt and at the Cotta'sche Verlagsbuchhandlung; he also tried, without success, to become an actor. On foot, he returned to Switzerland where he registered in 1896 as a Zürich resident. In the following years, he often worked as a "Kommis", an office clerk, but irregularly and in many different places. As a result, he was one of the first Swiss writers to introduce into literature a description of the life of a salaried employee. In 1898, the influential critic Joseph Victor Widmann published a series of poems by Walser in the Bernese newspaper Der Bund . This came to the attention of Franz Blei, and he introduced Walser to the Art Nouveau people around the magazine Die Insel , including Frank Wedekind, Max Dauthendey and Otto Julius Bierbaum. Numerous short stories and poems by Walser appeared in Die Insel. Bern or Berne is the de facto capital of Switzerland, referred to by the Swiss as their "federal city", in German Bundesstadt, French Ville Fédérale, and Italian Città Federale. With a population of 142,493, Bern is the fifth-most populous city in Switzerland. The Bern agglomeration, which includes 36 municipalities, had a population of 406,900 in 2014. The metropolitan area had a population of 660,000 in 2000. 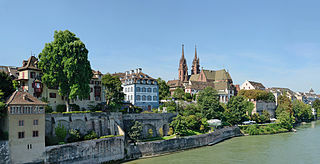 Bern is also the capital of the canton of Bern, the second-most populous of Switzerland's cantons. Der Bund is a Swiss German-language daily newspaper published in Bern. "What time is it? Already three? Come on, hurry, hurry." In the beginning of 1929, Walser, who had suffered from anxieties and hallucinations for quite some time, went to the Bernese mental home Waldau, after a mental breakdown, at his sister Fani's urging. In his medical records it says: "The patient confessed hearing voices." Therefore, this can hardly be called a voluntary commitment. He was eventually diagnosed with catatonic schizophrenia. While in the mental home, his state of mind quickly returned to normal, and he went on writing and publishing. More and more, he used the way of writing he called the "pencil method": he wrote poems and prose in a diminutive Sütterlin hand, the letters of which measured about a millimeter of height by the end of that very productive phase. Werner Morlang and Bernhard Echte were the first ones who attempted to decipher these writings. In the 1990s, they published a six-volume edition, Aus dem Bleistiftgebiet ('From the Pencil Zone'). Only when Walser was, against his will, moved to the sanatorium of Herisau in his home canton of Appenzell Ausserrhoden, did he quit writing, later telling Carl Seelig, "I am not here to write, but to be mad." Another reason might have been that with the rise of the Nazis in Germany, his works could no longer be published in any case. Walser was only rediscovered in the 1970s, even though famous German writers such as Christian Morgenstern, Franz Kafka, Walter Benjamin, Thomas Bernhard and Hermann Hesse were among his great admirers. Since then, almost all his writings have become accessible through an extensive republication of his entire body of work. He has exerted a considerable influence on various contemporary German writers, including Ror Wolf, Peter Handke, W. G. Sebald, and Max Goldt. In 2004, Spanish writer Enrique Vila-Matas published a novel entitled Doctor Pasavento about Walser, his stay on Herisau and the wish to disappear. In 2007, Serbian writer Vojislav V. Jovanović published a book of prose named Story for Robert Walser inspired by the life and work of Robert Walser. In 2012, A Little Ramble: In the Spirit of Robert Walser  , a series of artistic responses to Walser's work was published, including work by Moyra Davey, Thomas Schütte, Tacita Dean and Mark Wallinger. Hans Carl Artmann, also known as Ib Hansen, was an Austrian-born poet and writer, most popular for his early poems written in Viennese, which however, never after were to be the focus of his oeuvre. Rolf Dieter Brinkmann was a German writer of poems, short stories, a novel, essays, letters, and diaries. Martin Walser is a German writer. Yōko Tawada is a Japanese writer currently living in Berlin, Germany. She writes in both Japanese and German. Tawada has won numerous literary awards, including the Akutagawa Prize, the Tanizaki Prize, the Noma Literary Prize, the Izumi Kyōka Prize for Literature, the Gunzo Prize for New Writers, the Goethe Medal, the Kleist Prize, and a National Book Award. Wilhelm Genazino was a German journalist and author. He worked first as a journalist for the satirical magazine pardon and for Lesezeichen. From the early 1970s, he was a freelance writer who became known by a trilogy of novels, Abschaffel-Trilogie, completed in 1979. It was followed by more novels and two plays. Among his many awards is the prestigous Georg Büchner Prize. Karl Dedecius was a Polish-born German translator of Polish and Russian literature. Letters to Family, Friends, and Editors is a book collecting some of Franz Kafka's letters from 1900 to 1924. The majority of the letters in the volume are addressed to Max Brod. Originally published in Germany in 1959 as Briefe 1902-1924, the collection was first published in English by Schocken Books in 1977. It was translated by Richard and Clara Winston. Anant Kumar, is a German author of Indian descent. He spent his childhood in Motihari where his father Rajendra Prasad was Professor at Munshi Singh College. He resides in Kassel, Germany. Jakob von Gunten. Ein Tagebuch is a novel by Swiss writer Robert Walser, first published in German in 1909. Adolf Endler was a lyric poet, essayist and prose author who played a central role in subcultural activities that attacked and challenged an outdated model of socialist realism in the German Democratic Republic up until the collapse of communism in the early 1990s. Endler drew attention to himself as the “father of the oppositional literary scene” at Prenzlauer Berg in the eastern part of Berlin. In 2005 he was made a member of the Deutsche Akademie für Sprache und Dichtung in Darmstadt. Jenny Erpenbeck is a German writer and opera director, recipient of the Independent Foreign Fiction Prize. The Zürau Aphorisms are 109 aphorisms of Franz Kafka, written from September 1917 to April 1918 and published by his friend Max Brod in 1931, after his death. They are selected from his writing in Zürau in West Bohemia where he stayed with his sister Ottla, suffering from tuberculosis. His friend Max Brod titled the book "Betrachtungen über Sünde, Hoffnung, Leid und den wahren Weg". "My Neighbor" is a short story by Franz Kafka. It was written in 1917 and published in 1931 in Berlin by Max Brod and Hans-Joachim Schoeps. The first English translation by Willa and Edwin Muir was published by Martin Secker in London in 1933. It appeared in The Great Wall of China. Stories and Reflections. Ernest Wichner is a German writer, editor and literary translator. Susan Bernofsky is an American translator of German-language literature. She is best known for bringing the Swiss writer Robert Walser to the attention of the English-speaking world. She has also translated several books by Jenny Erpenbeck. Her prizes for translation include the 2006 Helen and Kurt Wolff Translation Prize, the 2015 Oxford-Weidenfeld Translation Prize, the 2015 Independent Foreign Fiction Prize, and the 2015 Schlegel-Tieck Prize. She was also selected for a Guggenheim Fellowship in 2014. In 2017 she won the Warwick Prize for Women in Translation for her translation of Memoirs of a Polar Bear by Yoko Tawada. In 2018 she was awarded the MLA's Lois Roth Award for her translation of Go, Went, Gone by Jenny Erpenbeck. Jürgen Becker is a German poet, prose writer and radio play author. He won the 2014 Georg Büchner Prize. Aus dem Leben eines Taugenichts is a novella by Joseph von Eichendorff. Completed in 1823, it was first printed in 1826. The work is regarded as a pinnacle of musical prose. Eichendorff created an open form with epic and lyrical elements, incorporating several poems and songs in the text. It was freely translated to English as Memoirs of a Good-for-Nothing, first published in 1866. ↑ Sontag, Susan. "introduction to "The Walk"". ↑ Scrima, Andrea. "The Walk by Robert Walser". The Rumpus. Retrieved 2 March 2014. ↑ Sebald, W. G. (2014). "Le Promeneur Solitaire: On Robert Walser" from A Place in the Country. New Directions. ISBN 978-1400067718. ↑ Galchen, Rivka (May 2010). "From the Pencil Zone: Robert Walser's Masterworklets". Harper's Magazine. ↑ Kunkel, Benjamin (6 August 2007). "Still Small Voice: The Fiction of Robert Walser". The New Yorker. Retrieved 2 March 2014. ↑ Lerner, Ben (3 September 2013). "Robert Walser's Disappearing Acts". The New Yorker. Retrieved 2 March 2014. ↑ Partl, S.; Pfuhlmann, B.; Jabs, B.; Stöber, G. (2011-01-01). 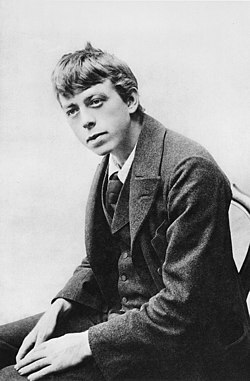 "["My disease is one of the mind and difficult to define": Robert Walser (1879–1956) and his mental illness]". Der Nervenarzt. 82 (1): 67–78. doi:10.1007/s00115-009-2914-y. ISSN 1433-0407. PMID 21274695. ↑ Robert Walser; Bernofsky, Susan (2012). The Walk. New York: New Directions. p. 89. ISBN 978-0-8112-1992-1. ↑ Walser, Robert (2012). A little ramble : in the spirit of Robert Walser : inspired by a series of exhibitions at the Donald Young Gallery with Peter Fischli [and others]. Fischli, Peter., Middleton, Christopher. New York: New Directions. ISBN 9780811220996. OCLC 804144951.